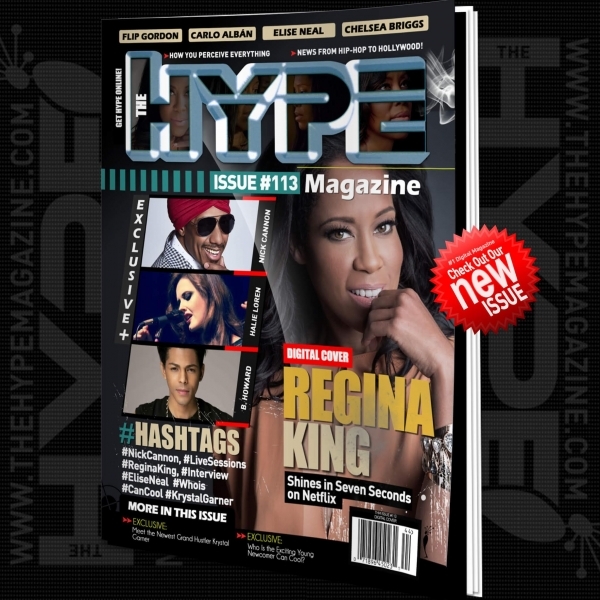 USPA NEWS - The Hype Magazine Digital Cover Issue #113 is home to an in-depth one-on-one with Emmy Nominated Actress Regina King with our Allison Kugel. From thought-provoking films like Boyz n the Hood, Poetic Justice, Jerry Maguire and Ray; to lighter fare like the Legally Blonde and Miss Congeniality franchises, Regina King brings a special sparkle to every role she’s tackled. On the small screen, King’s presence in past television series like Southland, The Boondocks, The Leftovers, Shameless, and her Emmy- winning turn in American Crime, have highlighted some of the more significant social issues of our time, both with ironic humor and with poignant drama. Wherever art is imitating life in a significant way, Regina King has been tapped to play a pivotal role in the project. ...What audiences may not know is that King is also an accomplished television director, with a growing resume of credits including smash hit television shows from Scandal and Greenleaf to The Good Doctor and This Is Us. 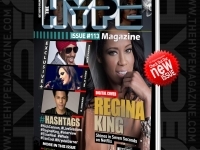 Sharing the cover spotlight with Ms. King in the insets are exclusives with Nick Cannon on the Art of Ambition & Wild ‘N Out Live! In this personal and eye-opening interview with Nick Cannon by Allison Kugel, the multi-hyphenate and truly self-made multi-millionaire television personality – actor-musician – deejay – media mogul opens up about transcending his childhood circumstances to become one of the most successful forces in all areas of the entertainment industry. As a teen, armed only with creativity and drive, Cannon was compelled to propel his family out of financial instability. What was initially born out of necessity, flourished into one of the most epic and aspirational success stories of recent Hollywood-lore. Now add dedicated student at Howard University to his resume. Nick Cannon is unstoppable. Billboard Charting Pop Artist B.Howard catches up with our David Morales to discuss his new project “Nite and Day 3.0/Girl You Gotta Know” and more. Multi-talented pop singer, composer, and producer, B. Howard recently released his new single “Nite and Day 3.0/Girl You Gotta Know” and its fire. Reminiscent of a classic pop persona, B. Howard reveals his mainstream roots while integrating a progressive tone. Howard’s career as a singer, songwriter, producer started when he appeared on Ginuwine’s 2003 single “Love You More” which reached #23 on Billboard Hot R&B/Hip-Hop Songs. This led to a string of hits and collaborations with artists like Ne-Yo, Kevin Lytle, Brook Valentine, Chris Brown, Trey Songz, Dru Hill, Marques Houston, Lupe Fiasco, and Vanessa Hudgens.